Jasper was born in the September quarter 1885, the son of George and Elizabeth (née Tyson) Wheeldon (Farmers) of Hopping Farm, Earl Sterndale, Buxton. He had three older brothers, George William [see Footnote below], Henry Tyson and Edwin Oswald, and two older sisters, Rose Anna and Alice Gillian, and a younger sister, Miriam. (1891 Census RG 12/2779) Jasper's father, George, had died in the December quarter 1890. By 1901 (Census RG 13/3271) Jasper and Miriam were the only children still living at Hopping Farm with their widowed mother. Father, George, had died in December 1890. Ten years later (1911 Census RG 14/21241) Jasper was employed as a "Servant", working at Robert Bills' Butchers, 1a Scarsdale Place, Buxton. Robert's wife, Rose Anna, was Jasper's older sister. His mother, Elizabeth, and sister Miriam had moved to Macclesfield Old Road, Buxton, but Elizabeth died in July 1914 and was buried in St Michael's Churchyard, Earl Sterndale, Derbyshire. Jasper initially enlisted in the Sherwood Foresters (Notts and Derby Regiment) at Buxton. His Service papers have not survived and without them it is not possible to say what his War service postings were. His Medal Index Card shows that he entered the War in France after 31st December 1915, as he was not eligible for the 1914-15 Star. Medal Rolls show that Jasper was posted or called up to the 3/6th Battalion on the 5th March 1916 and like several of his comrades posted to King's Shropshire Light Infantry, with a Service Number of 26188. It is interesting that his Notts and Derby Regiment number, 5098, appears on his Medal Index Card. So he either served with 1/6th for a while in France or transferred pretty quickly to the King's Shropshire Light Infantry. Alternatively, the fact that he has T/37202 Notts and Derby Regiment could mean he was transferred back to England to the training Battalions before moving on to King's Shropshire Light Infantry. Roughly around about 1000 men, of the Notts and Derby, renumbered from 36189 to around 37130, followed this route into overseas Service. What is known is that in September 1917 a lot of men were going over to the Calais Base Depot, many to be posted on to other Battalions. What is certain that in July 1916 Jasper was in France with the 3/6th Battalion. 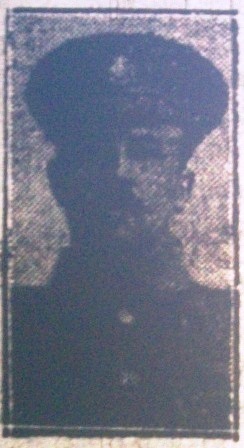 On the 5th July 1916 'The Buxton Advertiser' reported just that, together with his photograph [see above]. However, the 3/6th (later 6th Reserve) Battalion was never posted to France, so he must have been serving in the 1/6th, which had landed in France on the 25th February 1915. 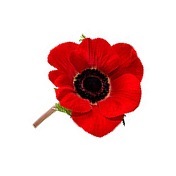 On the 12th May 1915 it became part of the 139th Brigade in the 46th (North Midland) Division. On the first day of The Battle of the Somme (1 July 1916) the Division took part in the diversionary attack at Gommecourt. The 5th (Service) Battalion, King's Shropshire Light Infantry, had been formed at Shrewsbury in August 1914 as part of K1 (Kitchener's First New Army) and came under orders of the 42nd Brigade in the 14th (Light) Division. On the 20th May 1915 it landed at Boulogne. Jasper was no doubt in a draft from the Notts and Derby Regiment transferred to the King's Shropshire Light Infantry on the 3rd September 1916 and joined the 5th Battalion three days later. Jasper's new Battalion were engaged, in 1917, during the Arras Offensive, in The First Battle of the Scarpe, (9th - 14th April) and The Third Battle of the Scarpe. (3rd - 4th May). 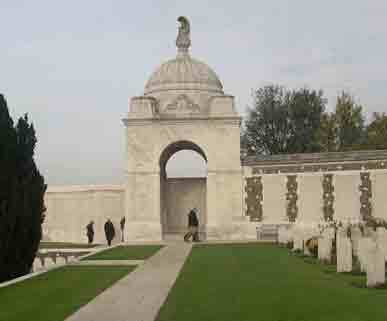 Later in the year came the Third Battles of Ypres, where the 14th (Light) Division fought in The Battle of Langemarck, 16th - 18th August, and The First Battle of Passchendaele on the 12th October..
Jasper, however, was killed in action between these latter two major Battles, on the 18th October 1917. At the time Jasper was killed the Battalion history in the Regimental history has them in the area of huts in Ridge Wood between the 12th - 15th October. On the 16th they moved forward to support trenches near Fitzclarence Wood, north of the Menin Road, and on the 21st October they went into the front line nearby. When reporting Jasper's death on the 3rd November 1917, 'The Buxton Advertiser' recounted the contents of a letter received by his sister, Mrs. Rosa Anne Bills, [see above] from "Pte. R. F. Fink", "... a great friend of his who says how much he feels the loss." It would be a consolation to know that he suffered no pain. He called him (Pte. Fink) by name, asked for water, and then quietly passed away. He had heard him say she had only just lost another relative. He was really only waiting his time to go on pass, which he was looking forward to very much." Private Fink added that Jasper had "... a few trinkets which, if he was spared to come out of his trenches, would forward to her." and that "Pte. 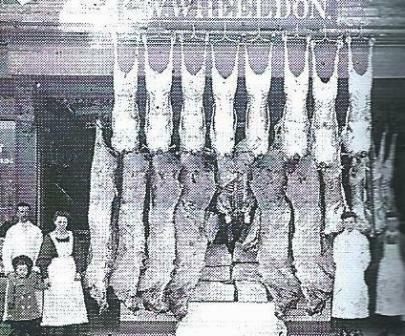 Wheeldon was buried close to their battalion headquarters, where so many had found their last resting-place." Forty-two men of the 5th Battalion were killed or died of wounds in the two weeks either side of Jasper's death, though he was the only one on the 18th, and as was reported (above) he was killed by shell-fire. 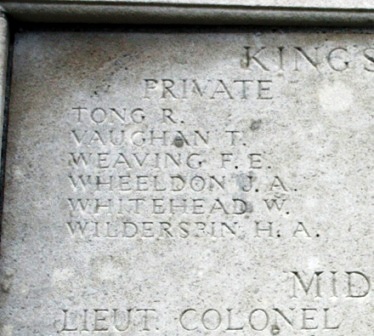 Wherever, his grave was "... close to their battalion headquarters ..." it was subsequently lost and now twenty-eight, including Jasper, have no known grave, and are commemorated on The Tyne Cot Memorial. been 43 at the outbreak of the War. with the Notts and Derby Regiment, respectively. · I am also grateful to Annette, via 'The Great War Forum' for the additional notes on 'George Wheeldon'.